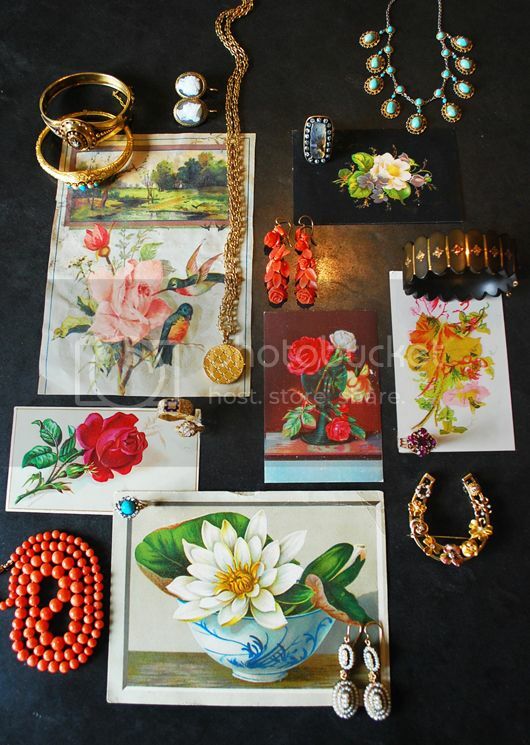 Oval w/Star and Blue Enamel Bracelet $900, 18k Gold French Turquoise & Pearl Bangle $2600,"Greek Key" Enamel Cameo Earrings $1600, 14k Gold Double Coil Link Chain $1250, Victorian 14k Gold Locket w/ Rose Cut Diamonds $880, Georgian Moss Agate Ring $4500, Italian Carved Coral Earrings $1150, 1920's Turquoise Filagree Necklace $975, Gutta Percha and Rose Gold Bangle $1050 (sold), French 18k Gold & Enamel Band $840, Victorian Rosecut Diamond Cluster Ring $1100, Rhodolite Garnet Cluster Ring $1200 (sold), Gold Horseshoe Pin $1500, Italian Coral Bead Necklace $850, Turquoise and Rose Cut Diamond Cluster Ring $675, Georgian Natural Pearl Earrings $1600 (sold). 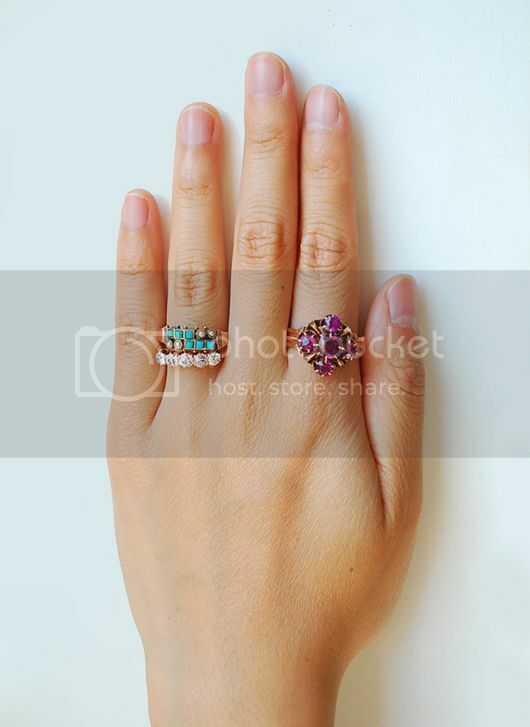 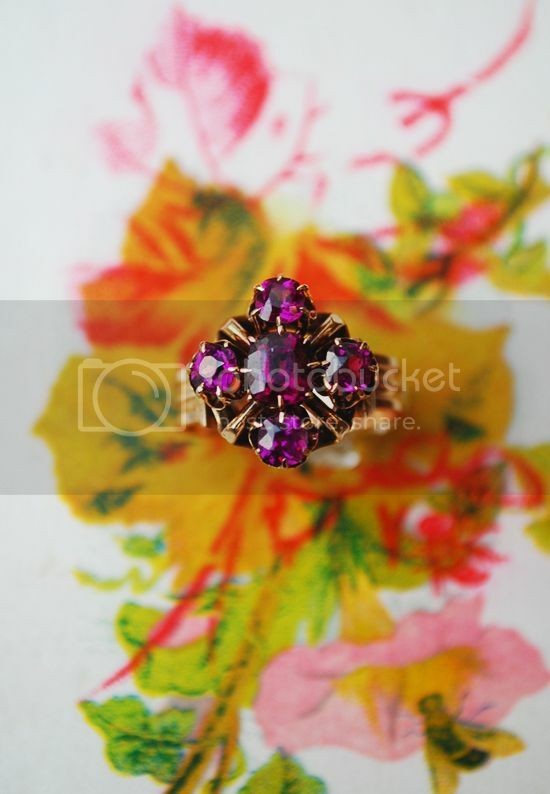 Antique Rhodolite Garnet Cluster Ring, c. 1880's $1200 (sold). 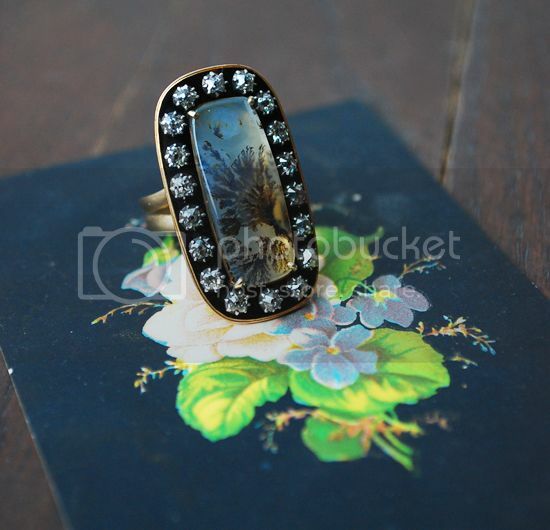 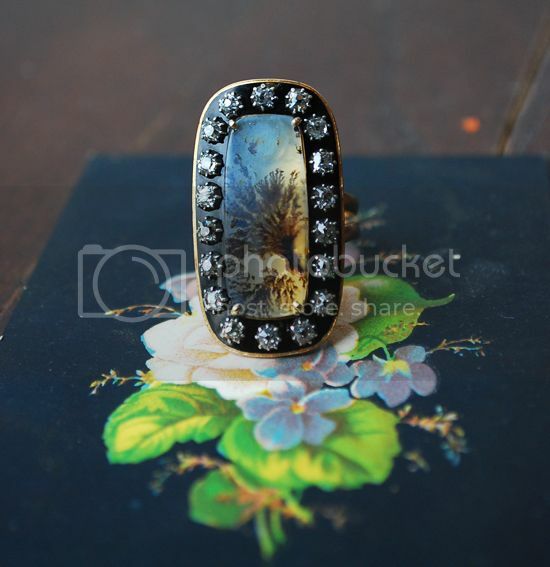 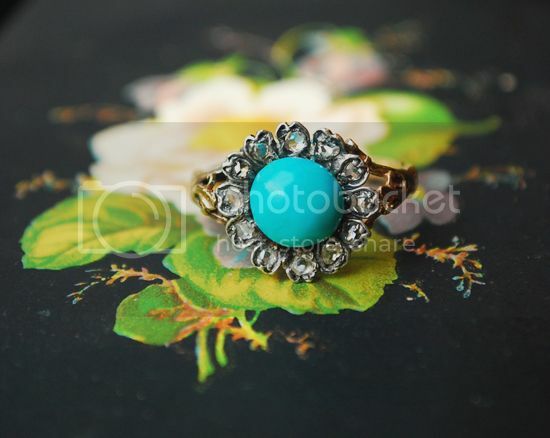 Antique 18k Five European Cut Diamond Ring $1770 (sold).